Lovingly serving men and women with autism and developmental disabilities in group home and apartment settings throughout Fairfield County. 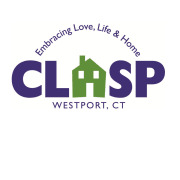 CLASP Homes has been serving adults with autism and developmental disabilities since 1982. We now have 12 group homes and apartments across Fairfield County and a Career and Community Options Day Program in Bridgeport. Would you recommend CLASP Homes?